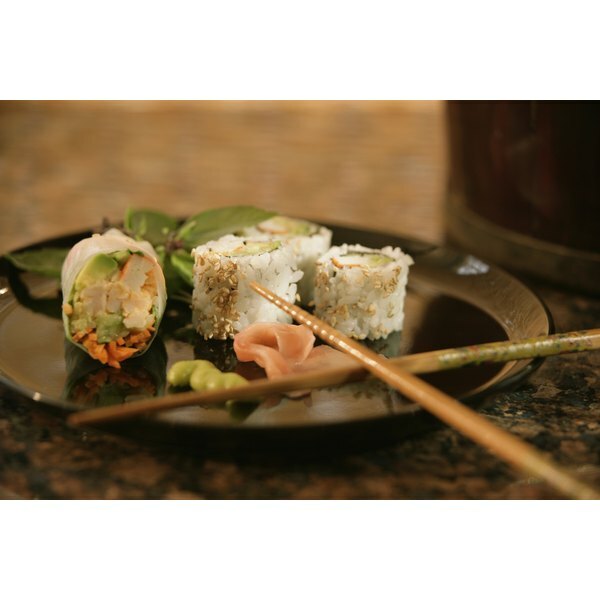 Sushi generally refers to rolls of seaweed encasing rice, fish and vegetables. 4 Is Eating Tuna in the Can Every Day Healthy for You? Eating sushi twice a week can be hard on your wallet, but fine for your health as long as you follow certain precautions. For most healthy people, eating fresh fish twice a week is a health boost. Certain populations should be cautious of how much sushi they consume, if any at all. The American Heart Association recommends eating two servings of fish weekly to boost heart health. The fish in sushi helps you meet this recommendation. Fish, especially fatty varieties such as salmon and mackerel, contain a lot of omega-3 essential fatty acids that decrease the risk of abnormal heartbeats, reduce triglyceride levels, lower blood pressure and slow the development of arterial plaque. Omega-3 fatty acids also purportedly boosts brain function. A serving of fish, according to the AHA, is 3.5 ounces. The Food and Drug Administration says up to two 6-ounce servings per week is fine. How much fish is in each sushi roll depends on the purveyor and chef, but generally, two rolls is considered a serving. For most people, eating more than these two weekly servings isn't a problem, but for certain populations, including pregnant women, the elderly, women trying to get pregnant, and young children, it can be. Almost all fish contains traces of mercury, which can affect the development of young nervous systems. The elderly and young children are at greater risk of illness because of food-borne pathogens, which are more likely to exist in raw fish. Eating too much sushi can lead to a high intake of white rice, which offers little in the way of nutrients, but a lot in the way of calories. Sodium overload can be a problem if you're liberal with the soy sauce; use minimal amounts and ask for low-sodium varieties. A semi-weekly sushi visit that centers around fried or creamy-sauced rolls is not a healthy habit. The words "tempura" and "spicy" are clues your roll is adorned with extra fat and calories you don't need. Steer clear of Philadelphia rolls or others that feature cream cheese. Tuna, yellow tail, shrimp and salmon rolls are among the healthiest and belt-friendliest options. Veggie rolls also can up the health ante of your sushi visits. 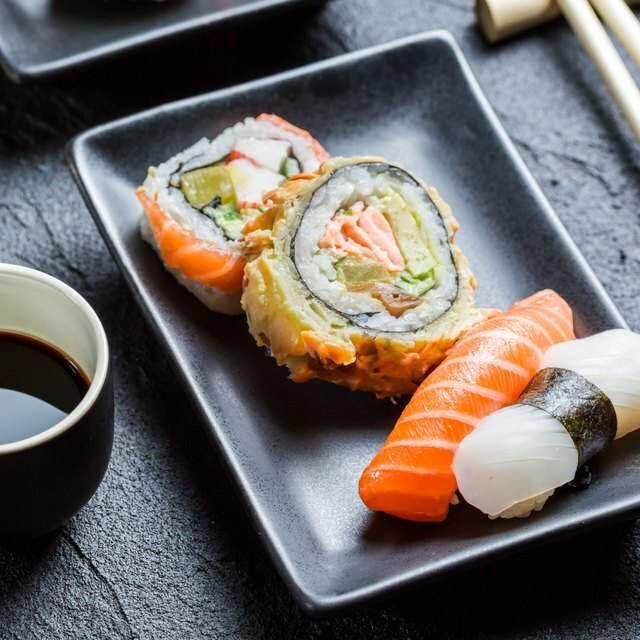 If you choose to eat sushi twice per week, at-risk populations should avoid the species most contaminated by mercury, such as shark, swordfish, king mackerel and tilefish. As a regular sushi eater, you might avoid these varieties, too -- just to be safe. Stick to just one or two rolls at each sushi meal to keep your serving sizes under control. If you still are hungry, opt for veggie rolls, salad or miso soup.